Find the right tour for you through Bentota. We've got 84 tours going to Bentota, starting from just 5 days in length, and the longest tour is 21 days. The most popular month to go is May, which has the most number of tour departures. "This trip was an adventure from start to finish. There was such a variety of enjoyable..."
"We had a wonderful family trip with the excellent driver/guide Gayantha. 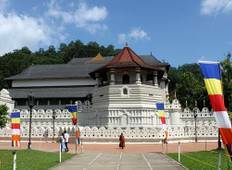 Highly recommended"
"Great tour overall, Sri Lanka is fantastic." 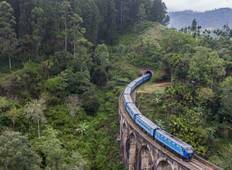 "It sure was an amazing experience thanks to Capital Lanka Tours. The entire process..."
"Great tour. Mario was knowledgeable and fun to spend time with"
"This was a wonderful tour of Sri Lanka. Tha Island is absolutely stunning and I feel..."
"Fantastic.as you promised safety .the full itinerary was completed.the guide Felix..."